From modern-day New York to Victorian London, one thrilling mystery brings together two passionate souls-for all time... Homicide detective Mick Giovanni has seen lot a strange things in the NYPD-but nothing like Miss Lettitia Merryweather. Waltzing into his precinct dressed like some actress on Masterpiece Theater, the stunning British beauty implores Mick to find her missing sister. 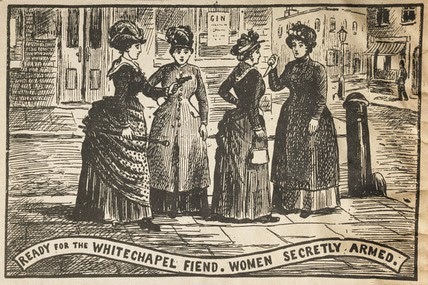 The strange part is, she disappeared in London-in 1888. Of course, Mick doesn't believe Lettitia. Until he steps through a time portal onto a gaslit street-and sees a newspaper headline that reads: "Jack the Ripper Still At Large"... For Mick, it's the dream of a lifetime-a chance to hunt down the most notorious killer in history. But for Lettitia, it's all too personal, and Mick is her only hope. The tough, handsome cop has only seven days to solve the world's greatest mystery before he loses his chance to go home. But the closer Mick gets to the truth, the deeper his feelings for Lettitia grow. Even if he solves the case, can these two soul mates say goodbye to a love that was meant for all time? 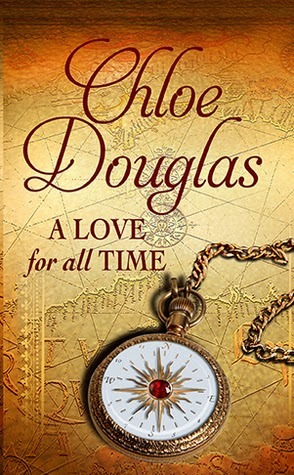 Chloe Douglas' A Love for All Time became part of my library months ago, but the title languished in my TBR until after the turn of the year. It's a sorry excuse, but my review schedule has been packed and that's made it a challenge to pick up anything of my own accord. I suppose I should content myself with the fact that I made my way back at all, but it is what it is. Douglas hits the ground running with this piece, infusing it with both humor and intrigue. Even after Mick Giovanni finds himself in late nineteenth century London, the character's ill-regard for Victorian convention kept a smile on my face. I was also impressed with the plot, its twists and turns and how seamlessly Lettitia Merryweather slipped into the history of the famed Whitechapel killings. Unfortunately, the romantic elements of the story didn't hold the same appeal in my eyes. I actually thought the explicit relations diminished the mystery at hand and more than once found myself skimming over large portions of the text. I felt Douglas lost her way towards the end of the story as events dragged to crawl in the final chapters and I was very disappointing with the ambiguity in the nature and function of time travel in the universe she created as it is so essential to Mick and Lettitia's story. The conclusion also lacked definition and found me questioning my decision to read the book in the first place. Bottom line, A Love for All Time is more romance than science fiction, more melodrama than historic suspense and while that may work for some, it didn't work for me. I might recommend it as a casual beach read, but I'd be hard-pressed to endorse it otherwise. Nodding her head, the landlady cackled. “That’s all ’er and the other one ever talked about, ’ow they was going to open a whorehouse for the West End swells.” Mrs. Tooley’s eyes narrowed, a malicious expression on her wrinkled face. “The only thing them two ’ad to look forward to was a life of gin or a death in the Thames. No whore ever leaves Whitechapel alive."